One 19th-century view of a proposition is that it's simply the attribution of a quality to a subject. For example, the quality of being blind can be attributed to an individual man. Of course if we think so strongly in terms of qualities and subjects, then clearly we're committed to the ancient ontological distinction between qualities and subjects (or properties and objects). The ‘new analytic’ moved away from this model. Within that position two classes of objects are identified, rather than qualities and subjects. Thus the notion of classes was brought into logic. Thus we have these questions: Does class X belong to class Y? Or alternatively: How many subclasses belong to class Z? This thinking in terms of classes (rather than subjects and qualities) clarified and helped codify what many 19th century logicians were trying to do. Thus mathematics was seen as the “science of order”. Maths isn't about things or processes: it's about the relations between all objects and processes. To put this bluntly: mathematics is the analysis of implications. That is, what implies what and why does this imply that? It isn't concerned with the things which imply one another; but with the implications themselves. What is the nature of implication? Why does X imply Y? And if you're only concerned with implications (including inference, entailment, and consequence), then you're not concerned with truth. Truths, essentially, are exclusively about the empirical world (as the logical positivists later stressed). And because mathematics isn't concerned with the empirical world, then it's not concerned with truth either. This parallels Wittgenstein’s distinction between truth and correctness. Put simply, something is correct if it abides by certain conventions. However, something may be true regardless of conventions. For example, there may be truths about how certain conventions have got things wrong. Mathematics is a conventional phenomenon; therefore it's concerned with correctness and not truth. Platonists believe that mathematics is concerned with truth because they have a view of mathematical objects which parallels the empiricist view of the relation of reference between names/statements/etc. and the world of concrete objects. To Plato, the things he was concerned about are abstract and non-spatiotemporal. However, there was still some kind of correspondence-relation between the statements of mathematics and the abstract objects to which they referred. The fact that these things are non-empirical didn’t mean that Plato jettisoned the old notion of correspondence. In Plato’s book, mathematical statements need to correspond with his ‘ideal objects’, whether that's the perfect circle or whatever. Correspondence is a completely wrong way of looking at mathematics. Those that do so are seeing mathematics through the eyes of someone who thinks that it somehow matches or parallels the nature of empirical correspondence. What does matter in mathematics is what follows from certain postulates. Thus in a sense it doesn't really matter about what these postulates are or what their nature is: what matters are the things we derive from them. Indeed if postulates can generate more fruitful theorems then, by definition, they may be better postulates. 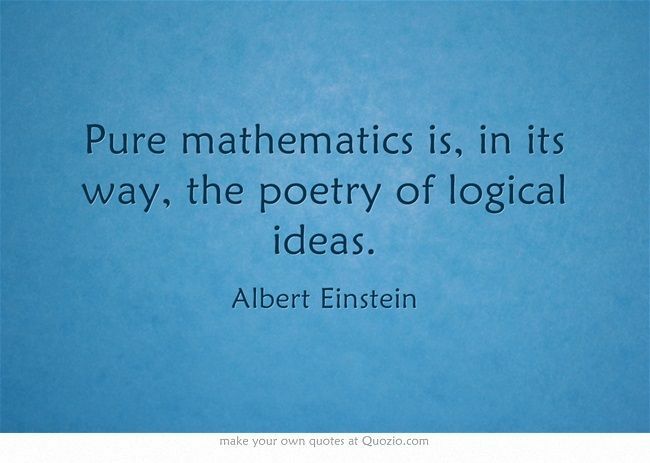 The truth of these postulates is completely irrelevant to mathematicians. If they're good tools with which we can derive a superabundance of theorems, then they're good postulates. However, they still aren't true postulates. They aren't even correct postulates. What is derived from them can either be correct or incorrect; though not true or false. It follows from these facts that it doesn’t really matter what postulates (or axioms) a geometrical or mathematical system uses. Thus there can be alternative mathematical and geometrical systems. The nature of the postulates or axioms will determine the systems from which they're derived. If these postulates and axioms needn't be true, then we may have an indefinite number of geometrical and mathematical systems on our hands. If truth isn't the issue, then only correctness matters. And a system is correct if it contains no contradictions. Thus we're concerned with validity, not truth. A conclusion can be validly derived and still be false. Validity is, therefore, system-relative. Something is valid if it doesn't create a contradiction within a given system. Truth, on the other hand, is purported to transcend all systems. Something is either true or false. Full stop. A statement doesn't need a system to validate (or justify) its truth. Just as someone can be uttering a truth outside all systems, so one can only be correct vis-à-vis a system and true outside of all systems. Proof also became important in the new mathematics. Here too truth isn't relevant to proof. We can have a proof that doesn't depend on truth. The fact that it's a proof depends on the system to which it belongs. The fact that it's a proof depends on the nature of the other parts of the mathematical or logical system, not how it stands on its own. Proof is relative to the system in which it works as a proof. The proof utilises the very parts of the system it's trying to prove. If it were a truth about the system, on the other hand, it wouldn’t need to have any relation to that system. What is true is true regardless of its relation to the system. A proof, on the other hand, has a relation to the system in which it provides a proof.